I posted info about this show a month or so ago. well it’s finally here. 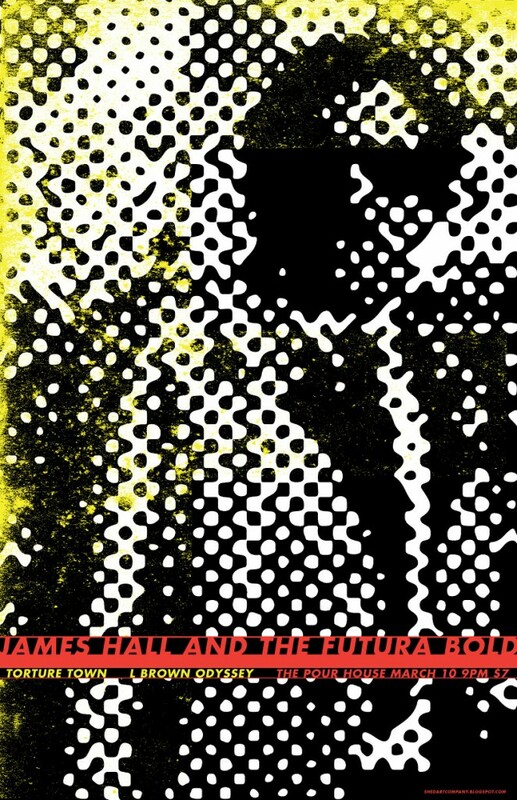 james hall and the futura bold. the show is at the charleston pourhouse on thursday night. i wouldn’t promote this if i didn’t think it would be great. james hall is an amazing songwriter and performer. james is a close friend of doug walters, so dougy will be opening the show with his band, torture town. come on out yall, let’s rawk!